…but wait! There’s more! MUCH more! You may recall The Real Deal from some of the other W30 posts. She’s an awesomely funky gal, willing to discuss just about anything with a smile and a laugh. Well, this morning we got a bit TMI about the end of January’s 30 and over-shared a little about our lady bits. That’s right, we were talking about menstruation. Warning. If talking about your monthly bleed makes you uncomfortable you should probably evacuate this website for good. We’re not really the kind of gals that get uppity about that sort of thing and we’ll probably offend you again soon. Now that we’ve cleared out the Nancies among us. GUESS WHAT!?! Apparently there are a lot of women who have no PMS or cramping while on Whole30! Isn’t that WONDERFUL!? I’m not sure if women aren’t writing about this more because they’re embarrassed/ashamed/socially conditioned to feel awkward about something 51% of the population experiences/don’t have blogs or because it’s not that common. I have a hard time believing it’s uncommon as every women whose done a Whole30 that I’ve coached has had reduced menstrual symptoms. The Real Deal & my thoughts: it’s as if instead of kicking the door down and raiding the fridge your red visitor just crept in, noticed you were sleeping, made a little ‘sssh’ noise, and helped themselves to a glass of water in your kitchen. For serious. Anyone else feeling this? My happy period dance just got a little longer methinks. « Announcing UA 5k Team! Week 1! remember that playtex campaign? you know the one. 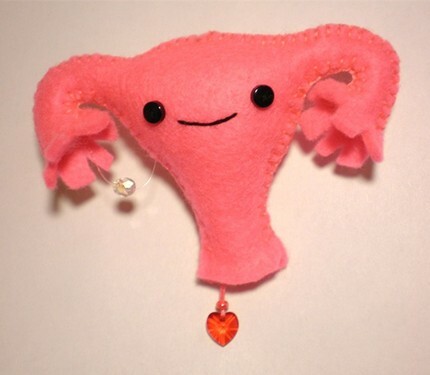 it included really obnoxious tampon wrapper graphics with women leaping into the air with sheer uterine joy… TV ads with a syrupy upbeat voice over telling us to “have a happy period.” i used to react to these by violently lamenting on various blogs and twitter feeds that i wanted to set their madison avenue agency’s office on fire. but now, after experiencing two whole 30 menses (i’m fast like that), not only am i no longer angry, but i’m also smirking in retrospect, armed with the knowledge and experience now, that it is in fact possible to not want to take a hostage every 27.5 days. and that, my good people, is a selling point almost as amazing as my next ‘leave a reply’ post about poop. oh you’re excited. you’re very excited. I used to have cramps so bad I would pass out (literally) and was very irregular. Like two weeks on, one week off, it was terrible – but since changing my diet, I have little to no cramps, and my periods are much lighter and NORMAL! Yay! Well, not yay that you used to pass out, but yay that you don’t anymore! Since changing your nutrition are you also on a regular 27-28 day cycle, too? LOVE when people speak the truth..and the truth is we HAVE PERIODS. Thanks for not getting all demure about it. My PMS has been mostly absent for as long as I’ve seen a naturopath, but ovulation still gets me. Feels like the Mittelschmerz Monster is having a tantrum in my pelvis for a day or so. Not on the W30! Just another perk to point. So glad you appreciate your unabashed willingness to “over-share” (though for us it’s just normal share). You should hear the conversations about our digestion when we all get together in the same room! What did your naturopath recommend for your PMS? I’m sure some of the other ladies would love to know. I also know a few women who will be interested to hear that you don’t get ovulation pain on W30 – I’ll be sure to pass it along. I dig me some digestion convo. In the naturopathic world, that’s topic one. Always fun to meet others who don’t find it odd. ND’s treat PMS with fab focus on the individual since everyone’s hormones have their own brand of chaos….it’s best to just go see one . (It’s so nice to stop guessing or interneting which herb or cream or whatev to try & just leave it up to the pro.) Eating a Whole30 diet a WHOLE lot more of the time is key; no grains/dairy/sugar/man-made crap. From there it depends on which way your stuff sways & your ND decides in relation to whatever else you’ve got going on. I’m on day 16 of my Whole30, and I am definitely having cramps. Feeling very jealous of y’all right now. Also, my cravings had generally subsided and I am really loving the food I am eating. In fact, I have been quite happy to pass up food that are usually my triggers. Until today. Today I want chocolate like I want to keep breathing. Ugh. Just came across this post – which is old, I know. But I thought I’d weigh in (no pun intended). As a teenager I consistently had 10-14 day heavy periods. At 21, my OB/GYN suspected I have endometriosis (which was confirmed via lap at 28). In my adult life, my periods have been 5-7 days, heavy for the first half with bad cramping on day 1. This month, my period began the day after I finished my first W30. While I did have cramps on day 1, it was not heavy, and it only lasted three days. THREE. DAYS. Start to finish. And day 3 was spotting. I could not believe it. Never in my life…. It HAS to be W30 related! The optimism here is wonderful. I am on week three of Whole30 and the PMS food cravings are so vicious. I was unrelentingly grouchy all weekend (not normal) and I am following the high protein, high fat (good kind), high veggie meals and it’s not as awesome as you are all experiencing. Looking forward to feeling what you guys are! My daughter has been on the Whole 30 twice in the past six months. Each time her period has been completely absent – the first time for 3 months and this time for one (so far). I do believe that the Whole 30 has everything to do with this since she was always very regular before. I’m assuming she’s seen her OBGYN about this? Yes, it seems like more than a coincidence if it’s happened twice. Is she doing it for medical reasons? Or general wellness?